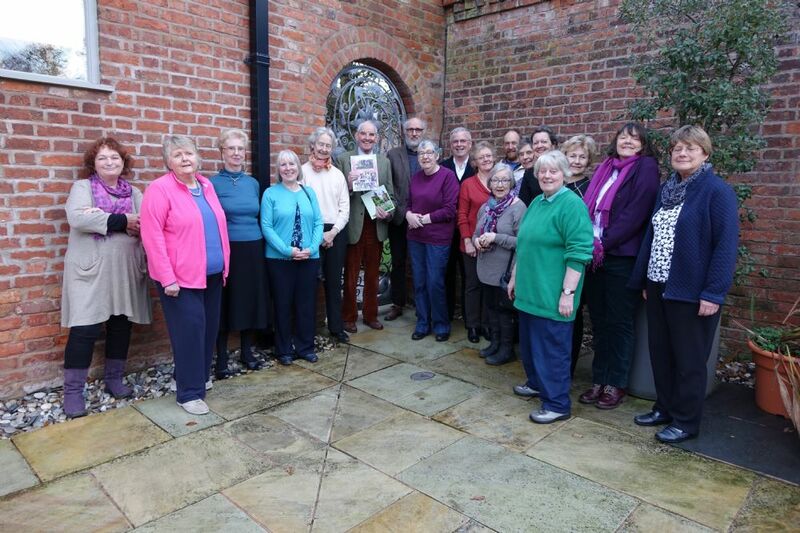 Past and current members of the Council of Management, and those who also helped to start the Trust, gave a surprise birthday party for Lord Ashbrook at Arley Hall on 17 December. A simple affair of cakes and tea but it always proves difficult to have a surprise party, and a surprise it was! Lord and Lady Ashbrook are centre left in the photo. Christine Wilcox-Baker prepared a Photo Album from the start of CGT which was presented as a record of Lord Ashbrook's 11 years as patron and his positive support of the Trust. He thanked everyone and said how important the Trust was to the county in raising the understanding and awareness of parks and gardens. Many thanks to all those involved in secretly plotting the event. CGT has a new committee SAC (Subversive Activities Committee).